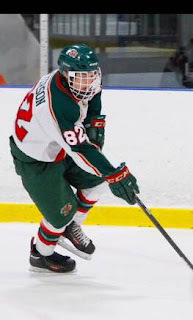 NEHJ's Jeff Cox reviewed the recent NTDP Evaluation Camp participants, including three 2020 Terrier commits, who were invited to join next season's U17s: forwards Dylan Peterson (photo) and Luke Tuch and goalie Drew Commesso. 2018 recruit Hugo Blixt scored his 10th goal in Tri-City’s 4-2 loss to Sioux Falls. The 6’4” defenseman from Vasteras, Sweden, has 26 points in 54 games. 2019 recruit Vinny Purpura stopped 28 of 30 shots to lead Omaha to a 3-2 win against Muskegon. 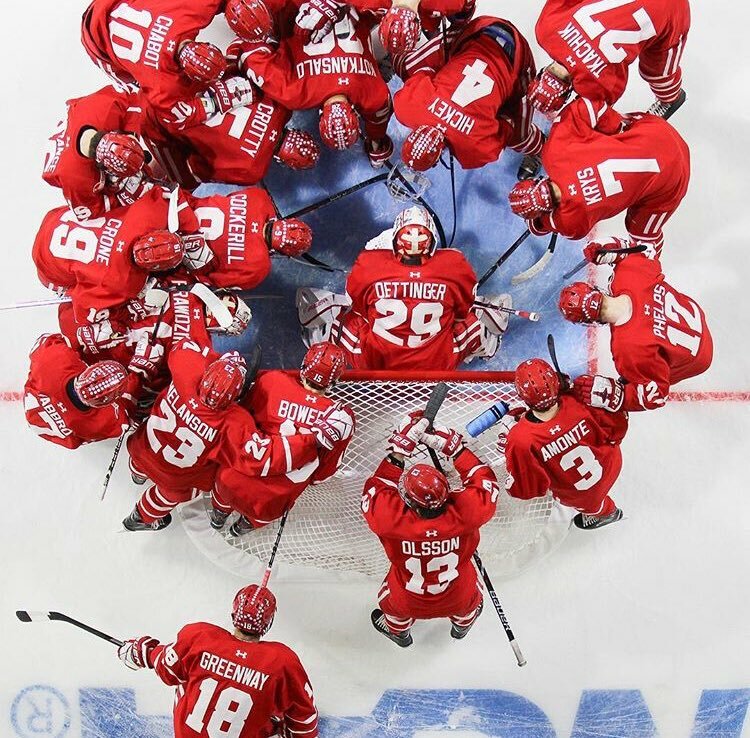 Both goals allowed by the 6’3” goalie from Lemont, Illinois, came on Lumberjack power plays. Purpura improved his record to 12-4-0 and lowered his GAA to 2.47. Jack Eichel recorded a career-best five assists in the Sabres’ 7-4 win against Western Conference leader Nashville on Saturday night. With 25 goals and 37 assists, Eichel has 62 points, best total of his three year career. Evan Rodrigues contributed his 14th assist for Buffalo, while Nick Bonino had a goal and an assist for the Predators. Clayton Keller has been named NHL Rookie of the Month for the second time this season. In 17 games in March, he led all rookies with 13 assists and 19 points. Former BU All-American Charlie McAvoy has been voted the winner of NESN’s 7th Player Award, given to the Bruin who exceeded expectations of fans during the 2017-18 season. McAvoy, currently recuperating from knee surgery, has seven goals and 25 assists this season and leads all NHL rookie defensemen in ice time per game and plus/minus (+26). CPA/emergency goalie Scott Fosters’ heroics in the Blackhawks net last week recalls the experience of former BU goalie John Aiken, who was pulled from the Boston Garden stands on March 13, 1958 when Canadiens netminder Jacques Plante was injured. Aikens played nearly two periods, giving up six goals on 18 shots in a Bruins win. He became the first Terrier to play in the NHL. Last week Jordan Greenway became the 82nd.